inclement weather. We were able to be flexible and made it work! Boy, we sure do have fun!! Join us on Sunday April 14 for a picnic lunch and game day!. 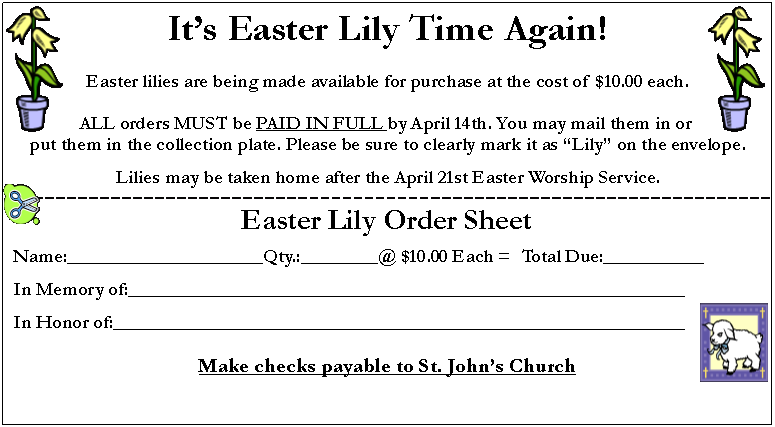 Here’s the plan... Sunday School, Palm Sunday service, stuff Easter eggs.